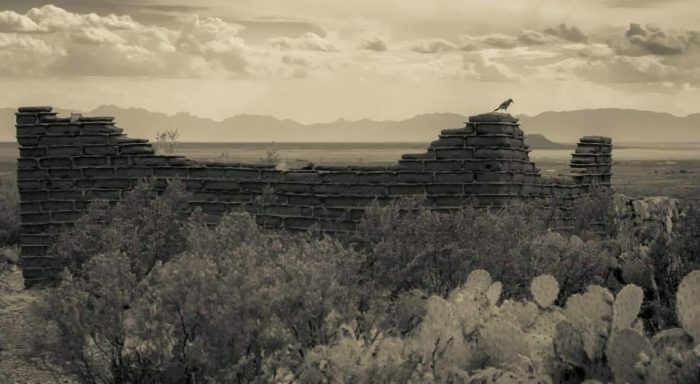 People have been living in New Mexico for thousands of years and remainders of their lives are scattered across our state in the forms of ruined buildings. 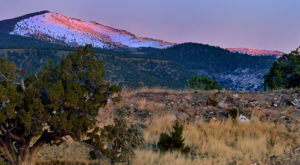 Combine hiking and history with a walk back in time along these 10 trails. When you’re exploring a place with extensive ruins, some are bound to receive less attention than others. That’s the case with Una Vida. 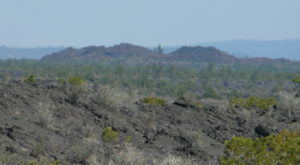 These remains are some of the oldest on the site and they can be reached by an approximately one mile, round trip hike. 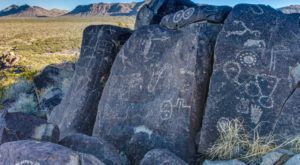 If you’re up for an extra burst of physical effort, you can reach a petroglyph panel too. The trailhead for Una Vida is near the visitor center, where you must stop to pay admission. 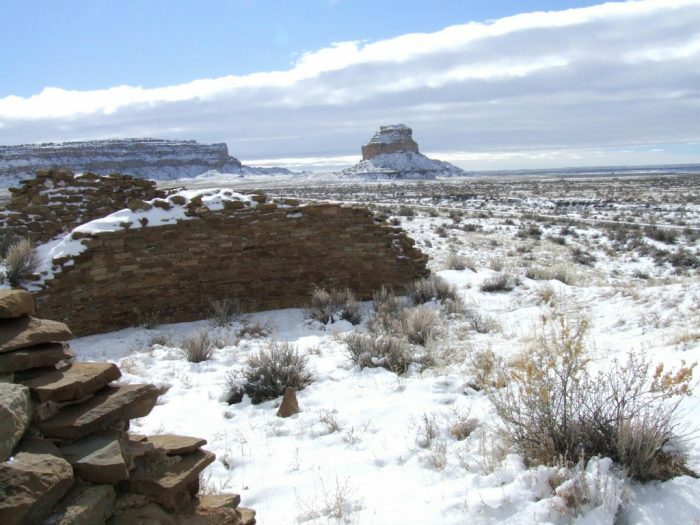 Chaco is in the middle of nowhere and you need to plan in advance to ensure you have sufficient supplies, plus a camping spot if you want to stay overnight. Here is the website. 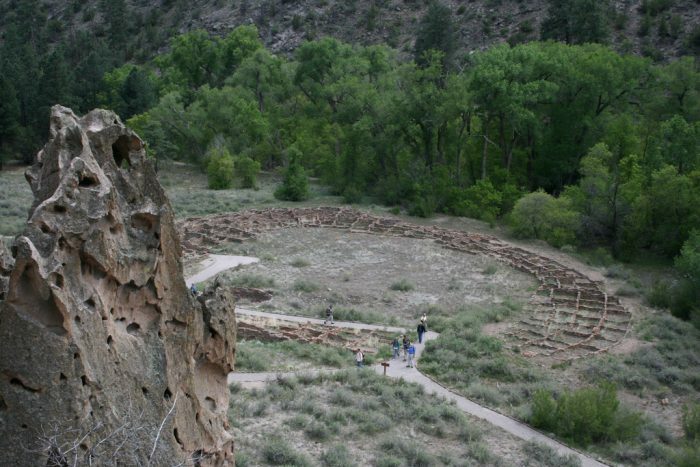 Bandelier National Monument spans 50 square miles and includes extensive Ancestral Puebloan ruins. 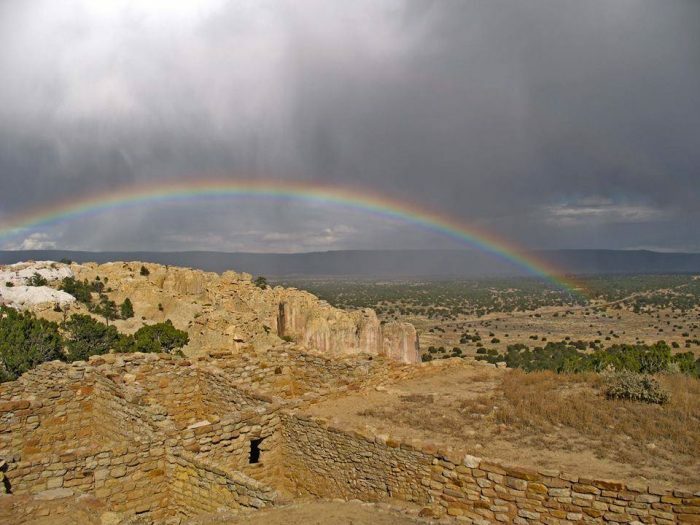 Wander past the remains of Tyuonyi, once a 400-room structure, peek inside the Big Kiva, and marvel at the Long House. 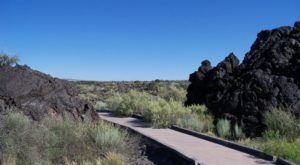 The Main Loop Trail is 1.2 miles in total, and it’s partially accessible. The latter portion involves narrow stairways. 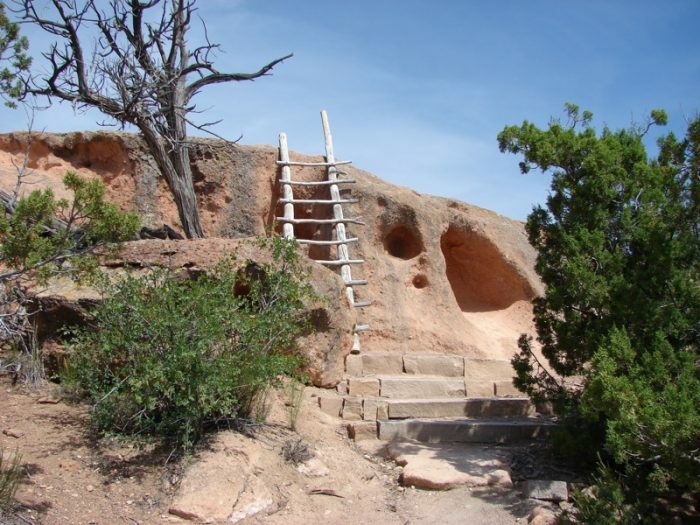 However, while you have the option to climb inside the cliff dwellings, doing so isn’t part of the trail. 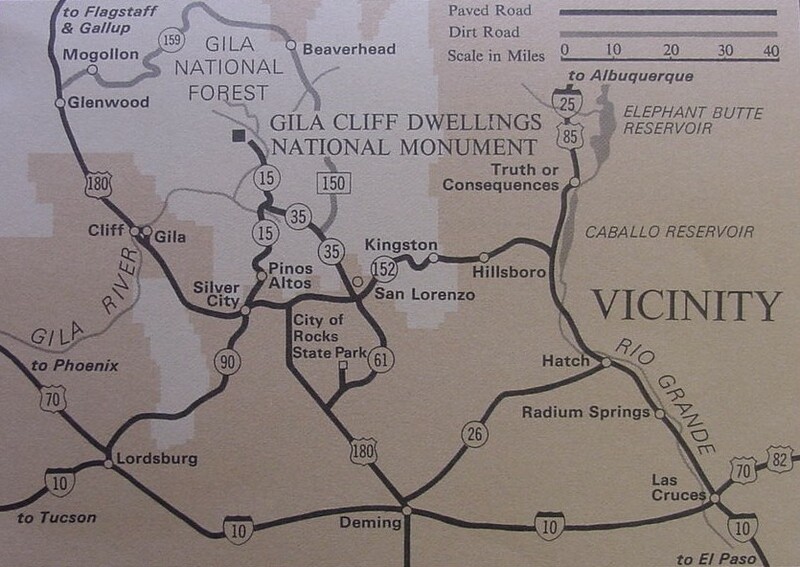 You can find this impressive national monument at 15 Entrance Road, Los Alamos. 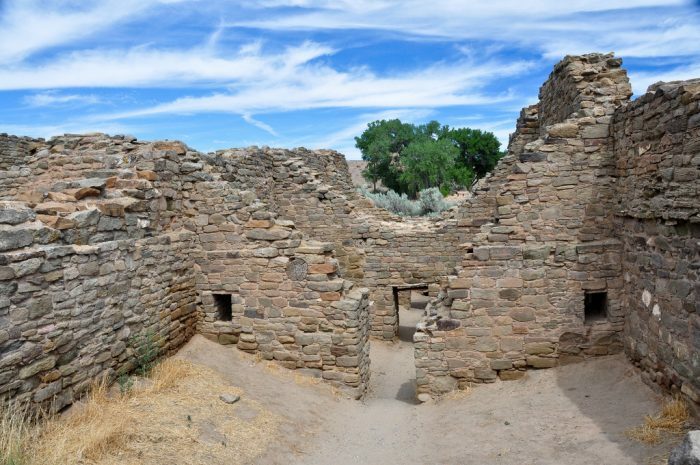 There are 13 different trails within Bandelier, but most people don't know about Tsankawi, an Ancestral Puebloan site that once contained roughly 350 rooms. Although it’s technically in Bandelier National Monument, it’s separate from the main area. This hike is only 1.5 miles in length (round trip), but you need to be capable of clambering up ladders. 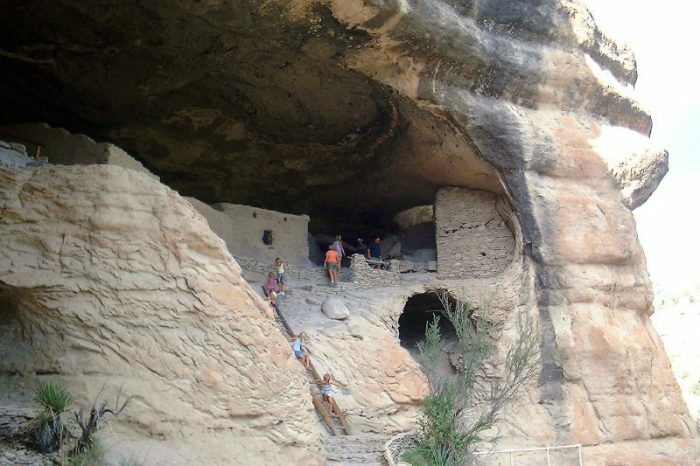 Along the way, you’ll have a chance to view kivas, petroglyphs, and cavates. Since Tsankawi is a little tricky to find, here’s a map. Although El Morro is best known for Inscription Rock, the 2-mile long Headland Trail offers panoramic views and an opportunity to see Atsinna. 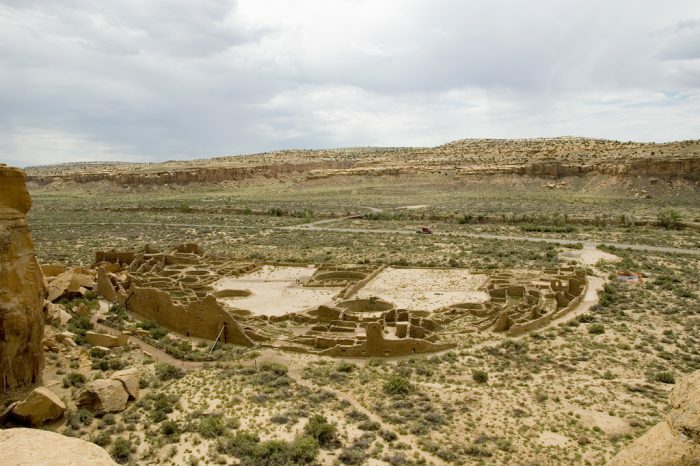 During the 13th and 14th centuries, 1500 people called this multi-level, 875-room pueblo home! The goal was to build in a location that was easy to defend so this trail takes a bit of effort and involves traversing uneven ground. For more info. 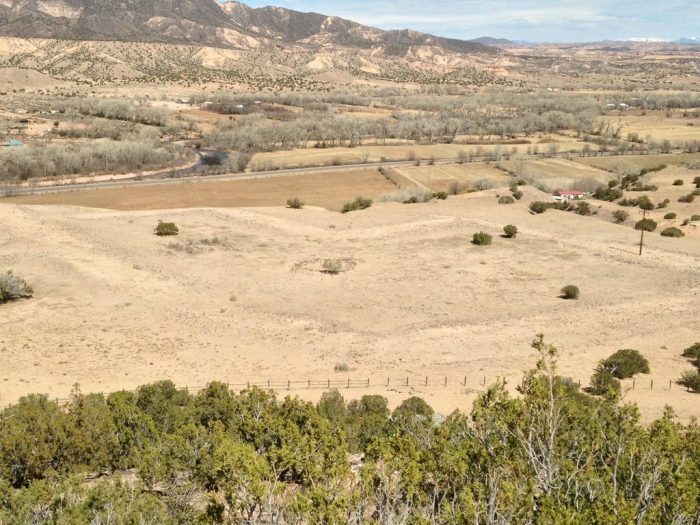 Technically, this hike leads to an overlook where you can see where a large structure once stood, rather than to the remains of a pueblo. However, this little known spot once contained 700 rooms on the ground floor alone, so it left a noticeable imprint on the earth. To reach the overlook, you need to climb up a half-mile long trail – there are places to rest – then return the same way. 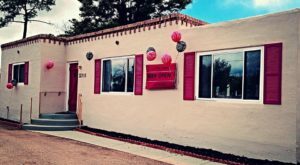 To access the trail and see this site, which was constructed by ancestors of the Tewa People, watch for a turnoff 2.5 miles south of the Abiquiu post office on Highway 84. 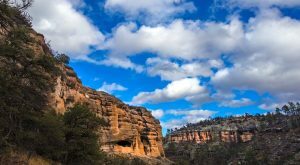 This trail leads to dramatic and well-preserved cliff dwellings created by the Mogollon people during the 13th century. The one-mile loop trail leading to the dwellings is steep and it covers uneven ground. Still, those who climb up here are well rewarded for their effort. The mistake many make is underestimating the length of time needed to drive to these ruins. They’re remote so you definitely need to start early. Here’s a map and also some additional information. A paved, sloping trail takes you to these ruins, which consist of more than just the remains of an old Spanish Mission. 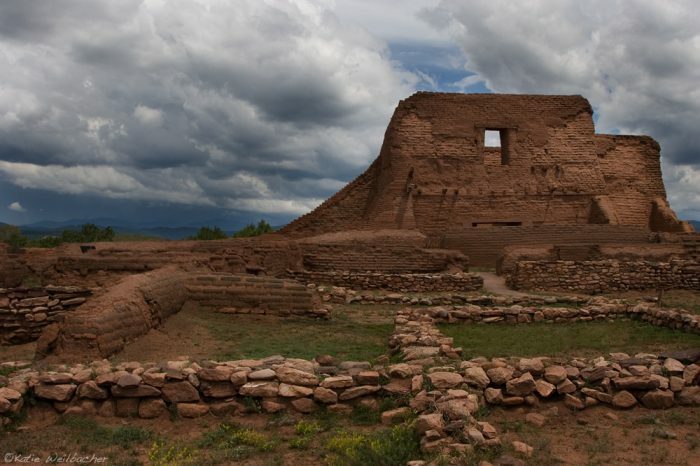 This is also the site of a pueblo (Cicuye) that dates back to 1100 A.D. Its location near the Glorieta Pass made this pueblo strategically important because it allowed the 2000 people who lived here to control travel through the area. This is an easy hike along a one-mile, loop trail. GPS mapping for this location is unreliable – instead, use this map. In the mood for a strenuous day hike? Challenge yourself by taking Dog Canyon Trail. There’s no need to hike this whole trail to see ruins. Just under three miles into this hike, you’ll come across the ruins of this cabin. While not ancient, it is still historic and scenic. For more info. 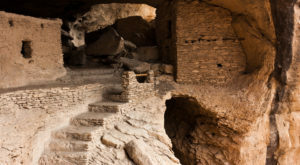 The appeal of the ruins at Aztec is that you can walk right through an Ancestral Puebloan "Great House," literally stepping back in time as you travel along this half-mile trail. Here is a map to help you reach this underrated national monument. 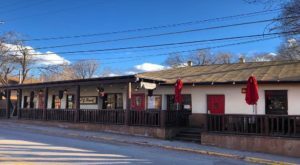 There are so many ruins throughout the state that this list is – by necessity – incomplete. Which trails would you add?